BELLVILLE — Community Health Screenings are free health assessments from Richland Public Health nurses for Richland County adults at locations close to home. 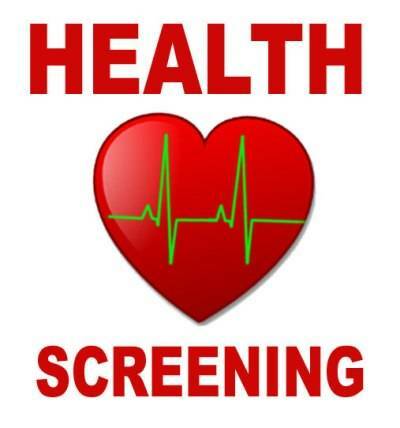 Community Health Screenings include the following: Free blood pressure reading; Free blood sugar check (three-hour fast recommended); Free anemia check (hemoglobin and hematocrit); and Free education and referrals. Also available will be $12 cholesterol checks (9-12 hour fast required). Cash or check only please. Monday, Feb. 4, Friendly House, 380 N. Mulberry St., Mansfield 10-11:30 a.m.
Wednesday, Feb. 6, Butler/Clear Fork Adult Center, 20 W. Henry St., Butler 7-8:30 a.m.
Monday, Feb. 11 Madison Branch Library, 1395 Grace St., Mansfield 9-10:30 a.m.
Tuesday, Feb.12 Masonic Temple, 1250 Middle-Bellville Road, Mansfield 9:30-11 a.m.
Thursday, Feb. 14 Springfield Twp. Fire Station, 3700 Park Ave. West, Ontario 9-10:30 a.m.
Tuesday, Feb. 19 Richland Public Health, 555 Lexington Ave., Mansfield 9-10:30 a.m.
Thursday, Feb. 21 Yes We Can Senior Center, 271 Hedges St., Mansfield noon-1:30 p.m.
Thursday, Feb. 28 Lucas Community Center, 252 W. Main St., Lucas 9-11 a.m.
MANSFIELD — Infants, children and adults can get the shots they need at our Neighborhood Immunization Clinics staffed by public health nurses from Richland Public Health. Children must be accompanied by an adult/guardian and need an up-to-date shot record and insurance card at time of service. Medicaid and Medicaid Managed Care are accepted. Most private insurance companies billed. No appointments are required For updated immunization scheduling information call our hotline at 419-774-8115.